What is Steiner education? 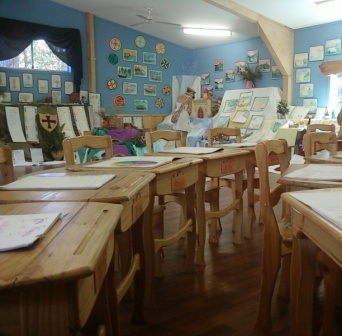 Do you want to become a Steiner teacher? Information evening for enrolling in 2017- Monday 8th August 2016 from 7.30p.m.- 9.00p.m. Join us on Monday 8th August 2016 at the Melbourne Rudolf Steiner Seminar from 7.30-9.00 p.m. to learn about our full-time accredited course, the Advanced Diploma of Rudolf Steiner Education (course code 10527NAT CRICOS 071548J). Hear from graduates about their experiences, meet staff, get a feel for the beautiful campus, and find out about the rewarding career and ample employment options that await – there is a great demand for professionally trained Steiner teachers in Australia and overseas . practicing teachers wanting to shift their career, to work in a Steiner school. This course offers a pathway to a Bachelor of Education at Australian Catholic, Deakin and Charles Darwin Universities and the University of Technology in Sydney. This is an accredited two year full-time course. VET Fee Help and Austudy are available for eligible students. 37A Wellington Park Drive, Warranwood, 3134, less than 10 minutes from the Ringwood exit of the Eastern Freeway and EastLink.